aluminum square ravioli stamp 3-inch by 3-inch, made of special aluminum for food ( regulation ENb601). Handle made of natural beechwood. Let you make authentic homemade ravioli, made with a special design that let you cut and seal ravioli in one easy step. Handwash only and recommended to dry after washing. 100-Percent made in Italy Buon appetito. 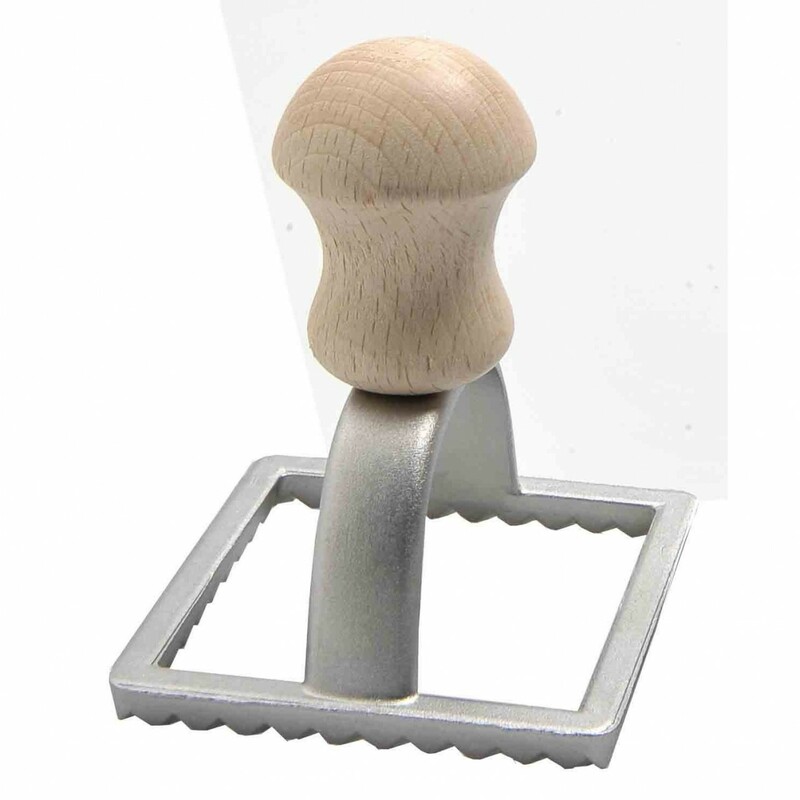 Click the button below to add the Aluminum Square Ravioli Stamp with Beechwood Handle made in Italy 3 inches to your wish list.